When someone says snacks, there is an automatic image of commercially processed and packaged biscuits, cakes and cookies displayed in a supermarket. Nigerians seem to be jumping off the bandwagon by revolutionizing their cuisine in recent times. Snack-wise, there have always been traditional snacks that have served their purpose and are gradually making their way back to the food scene. On the other hand, for fear of poor nutrition and many health complications owing to the gross industrial/commercialization of food, moms often worry about the healthier option for their children when it comes to snacking. What kind of snacks should they go for? You don’t want them to get too addicted to commercially/chemically preserved food. So, here it is, traditional and healthy snacks that will be perfect for you and your child. These Nigerian snacks have been there for ages, tested and trusted. Some can serve as food or snack, either way, they are finger foods that will not be found missing in Nigerian culinary. Puff-puff is often used as a typical snack and when in smaller sizes, is a perfect fit for the small chops used in Nigerian occasions. This is prepared by spicing up your batter especially with diced fresh pepper and deep-frying in vegetable oil. These days, the snack is made with a little more sophistication, thus we have such delicacies as the puff-puff suzette. Though in slight variations, this snack is also seen in some other parts of Africa. Coconut candies are chewable, crunchy or candy-like and are easy to make snacks. Traditionally, they could be thinly grated and fried but in time the caramel initiative came in. Coconut candies also serve as desserts or treats. The creamy or golden-brown colour is dependent on the choice of adding water or not, respectively. With water, you can determine the caramelizing level. Chin chin is a crunchy snack made with well-prepared dough, flavoured and deep-fried. It could also be oven-baked. The size and shape of the snack are generally of individual preference. This is one of the most popular snacks/food in Nigeria. It is made from beans flour, spiced to taste and deep-fried into balls; they are taken with pap/custard, eaten with either plantain/yam/potato fries with stew. Whether or not as a roadside snack, it is best served hot; eaten alone or with bread and of course accompanied with a chilled fruit drink. Meat pie is a staple snack in Nigeria and is also seen in some other inter-continental locations. What makes this snack the interesting savoury snack that it is, is the spicy meat and vegetable filling enveloped in it. Just as in most food cases, everyone has a peculiar recipe that rocks their boat. Donkwa canapés, such are the wonders of tradition plus convention. Donkwa is a traditional snack of the northern Nigerian Hausa tribe, made of finely ground corn meal and groundnut, spiced with Chili peppers, then mixed with small amounts of oil and water and there you have it, mould to form and the snack is good to go. Depending on the time of the day, this can serve as food, finger food and a snack as well. The Maize can either be boiled or roasted and can also be accompanied with either coconut or pears. This combo is a healthy fibre-packed snack. Nuts are such lifesavers, just ask your cardiologist. In Nigeria, when nuts are mentioned, the first two that come to mind are groundnuts (peanut) and cashew nuts. Both nuts can be taken independently and can as well make great accompaniments. In Nigeria, groundnuts as a snack can go with bread, bananas, roasted plantain, cucumbers or garden eggs. Nuts have an advantage of making you fuller until your next healthy meal, supposing you are far from home. plantain chips are one of the popular light snacks in Nigeria. Indeed, there are a variety of things to do with plantains, ripe or unripe. 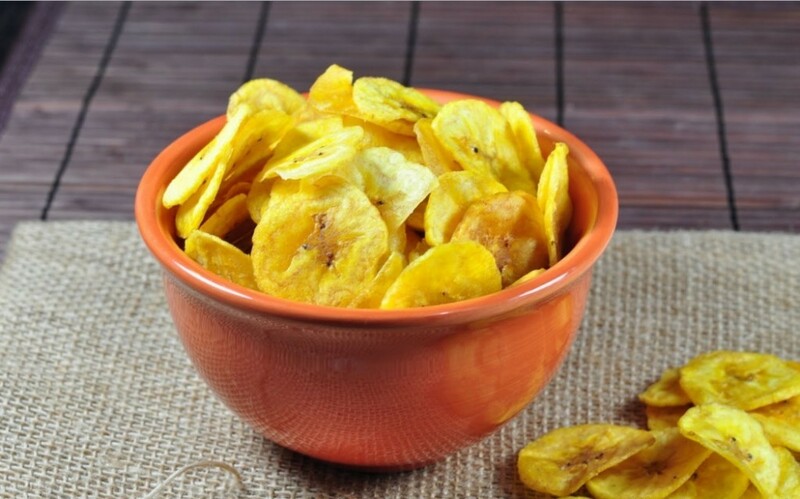 As for snacks, they are made as chips, roasted/fried plantains, plantain pancakes, plantain pies or battered plantains. Whatever your choice or invention, plantain chips could be one of the oldest Nigerian snacks ever. The Nigerian egg rolls might be casually mistaken for scotched eggs but on a closer look, the difference is quite clear. The snack is made by practically wrapping up a boiled egg in dough and deep-frying it. Famously known as the crunchy cornmeal snack, Kokoro is native to the western part of Nigeria. It is made from a specially prepared dough consisting of corn meal, sugar and water (boiling hot water), rolled to shape and deep-fried. It could be spiced or not. Kuli Kuli is native to the Nigerian Hausa tribe. It is made from roasted peanuts; ground, spiced and deep-fried. This is one snack which also permits a range of variety in terms of size and recipe. It has become a popular Nigerian treat.